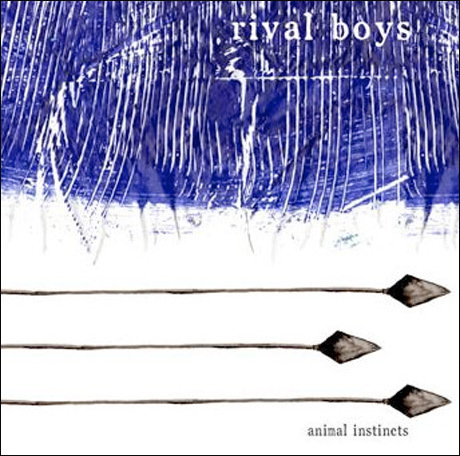 Rival Boys have been talking about Animal Instincts since last fall, and now it's finally here. The Toronto trio will officially release the album on June 30 through tinyrecordscanada/MapleMusic Recordings, and it's available to stream ahead of time on Exclaim.ca. The band self-produced the record at Toronto's Revolution Recording with engineer Joe Dunphy. The 10 tracks take a minimal, frequently restrained approach to perky indie rock, as crunchy guitars are paired with bouncy rhythms and occasional violin flourishes. There's also a Wolf Parade cover, as the band add violin to an otherwise faithful version of "I'll Believe in Anything." Scroll past the band's tour schedule to listen below.